High concentrated alkaline detergent. Only for automatic dishwashing. 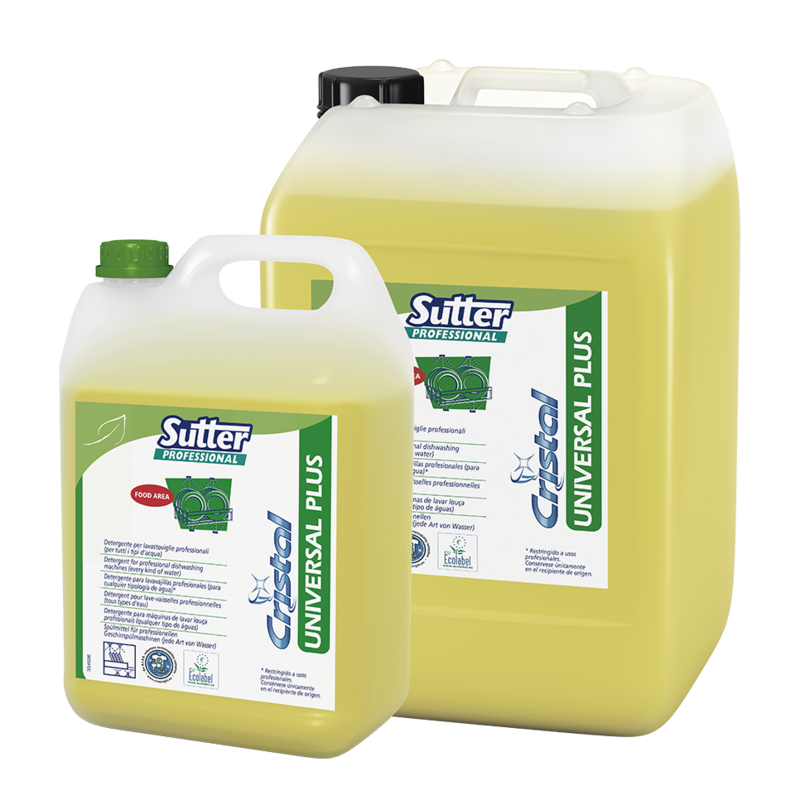 High degreasing and sequestrant power. Suitable for all kind of water. Ideal to be used by automatic dosing equipment. NO FOAM FORMULA. It's suggested to use a rinse-aid for the most effective cleaning. The suggested dilution allows to economize and reduces the environmental impact to the minimum. To minimise energy and water consumption, we recommend a minimum temperature of 50°C. Soft water (0-15° F): 1 g/L Medium water (15-25° F): 1.5-2 g/L Hard water (> 25° F): 2-3 g/L. The suggested dilution allows to economize and reduces the environmental impact to the minimum. A small amount of product is enough compared to a diluted product.